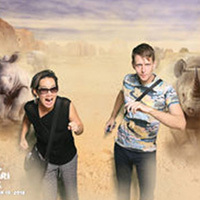 Over 40 local information professionals attended our tour of the San Diego Zoo Global Library & Archives and Safari Park in November 2018. Welcome to the new website for the San Diego Chapter! Thanks to the shared knowledge of the generous SLA Webmasters Community, and with much appreciated work from our new Chapter Archivist, Marissa, our previous blog has been fully archived. And now we begin anew! There are a lot of organizational changes at the national level, and a lot happening locally, too. We have an amazing, committed executive board this year. Our President-Elect, Andrew, is planning some excellent social and professional development events for us. Our next gathering will be April 5th, a Happy Hour and Karaoke event. I hope you choose to venture out of your comfort zone, meet some new librarians, and even risk a tune! I, your president, will be singing, and believe me, this is out of my comfort zone. I shall do it. You can do it, too! (By that I mean, just show up!) I’ll see you soon. I am very excited about the Fall Seminar that Zem and Karin are planning, with help from a team of marketing and communication volunteers. 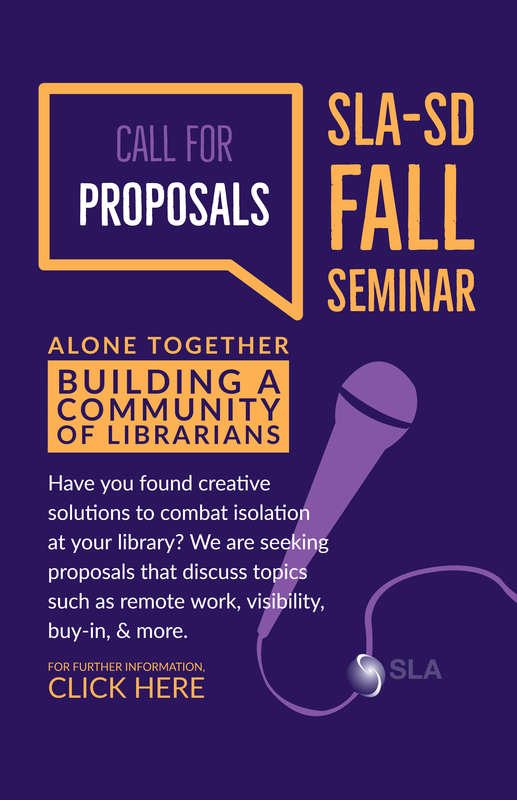 Did you see their Call For Proposals? For those who don’t know, Zem planned our last two Fall Seminars with Beth, who is now our Communications Chair. Beth has some cool plans for the year, too! Ask her about them, and ask how you can get involved. I hope to see you soon! April 5th! 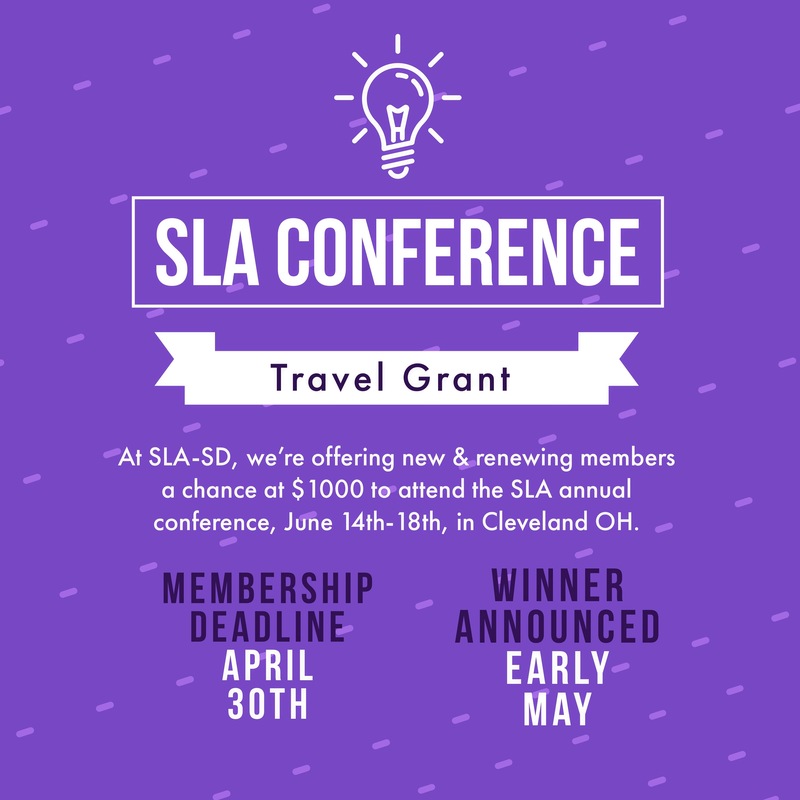 $1000 to attend the SLA Conference -- want it?